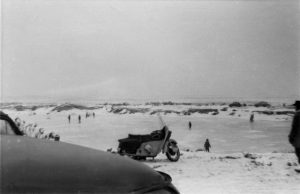 By the 1960’s the gravel pit has significant westward and southward extensions compared to the pre WW2 maps and, for the first time, a pond is shown on the map! 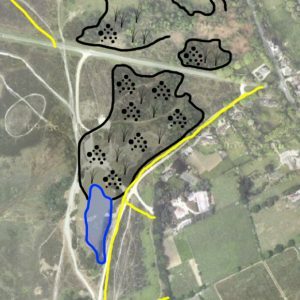 The gravel pit is shown as disused and the pond outline seems to be crudely indicated on the 1″ map from that time. 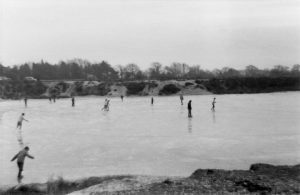 Possibly it was very shallow before it was deepened in the 1970’s with the start of model yacht racing. 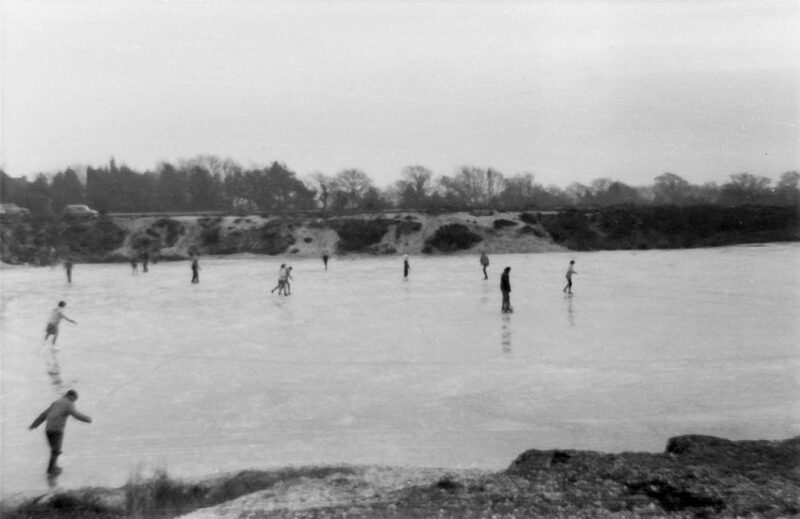 Two photos of ice skating on a snowy Setley Pond in 1962 emphasise that, compared to modern times, the area around the pond was still very barren following the years of gravel extraction.